Since water damage clean-up and restoration bills can amount to a staggering $100k, and water damage is among the most common disasters in the U.S., homeowners should make sure their Homeowner Insurance covers water damage, as well as how to get coverage for things that are typically not included in the standard Homeowners Insurance policy. Generally speaking, if the damages occurred as a result of a sudden and accidental water discharge from within a property (the plumbing or appliances), the standard Homeowners Insurance provides coverage. More specifically, if a pipe which is located inside the insured property bursts or leaks, or commonly found home appliances leak, the subsequent water damage is treated as a covered loss. However, the policy comes with a host of RESTRICTIONS and EXCLUSIONS. 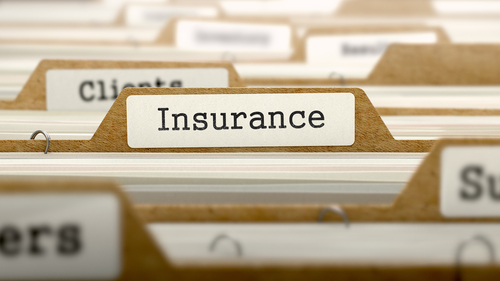 Read on to discover in which cases your Homeowners Insurance doesn’t provide coverage and what measures you can take. Standard Homeowners Insurance doesn’t provide coverage for flood damage. As far as the Homeowners Insurance goes, floods are regarded as a type of water damage caused by natural disasters. Since it’s a type of water damage whose cause is outside the insured property, it is excluded from the standard Homeowners Insurance. Floods are the #1 natural disaster in the U.S. Therefore, purchasing a flood insurance coverage is a wise preventative measure. With the exception of the belongings and property located outside the insured building, as well as currency and valuable papers, to mention a few, Flood Insurance covers damage to your Building Property and Personal Contents Property. 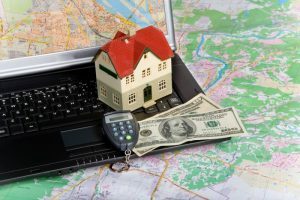 If you go for the maximum coverage option offered by the National Flood Insurance Program (NFIP), you will have to pay around $600 in annual premiums. Since MOLD typically develops after a flood, it is advisable to have flood insurance so as to insure mold remediation coverage. If mold damage occurred as a result of water damage, it will automatically be covered because water damage is included in Homeowners Insurance. However, if you don’t have flood insurance, and mold damage happens as a result of a flood, it won’t be covered. If the damage occurred as a result of the negligence on the homeowner’s part, the policy will not provide coverage. More specifically, if the cause of the damage is a continuous or repeated seepage or leakage of water or steam near a plumbing fixture or within the plumbing system in general, the damages will not be covered. In addition, if ROOF LEAKAGE comes as a result of ‘wear and tear’, the insurance will not cover the damages. The same applies if water leaks through the FOUNDATION OF A HOUSE. The reason for this exclusion is that modern construction methods enable the foundation to be constructed in such a way that water can normally drain away from the house. This means that a homeowner is responsible for regular maintenance and necessary excavations around the foundation. By contrast, if an appliance suddenly stops operating or a plumbing fixture or a pipe suddenly bursts or freezes, the subsequent damages will be covered. However, there are certain regulations as to exactly what items can be reimbursed. Read on to find out more. Regular inspection and maintenance is the only common-sense solution. Have your plumbing system regularly checked. Consider emergency leak detection and NEVER delay repairing or replacing cracked pipes. Avoid clogging drains and pipes by changing some of the most deeply rooted habits. Those include using your toilet for non-human waste disposal and neglecting the muck that gradually builds up in the drains, to mention a few. It is SUPER IMPORTANT to remember that, while Homeowners Insurance provides coverage for sudden pipe bursts and appliance breakdowns, it DOES NOT cover the actual pipe or the appliance that leaked and caused the damage. Again, if the pipe leaked because of poor of insufficient maintenance, the coverage will not be provided. Make sure you have insured Your Personal Property (sofa, TV, jewelry, china, etc.) so that any damages they sustain are covered. Even though you will have to replace the broken pipe or appliance yourself, this is what will protect your personal belongings. If you cannot decide whether to insure your house for its market value or insure your property, consult your insurance provider for more information. Generally speaking, an overflow is the discharge of water from sewers, while a backup is the discharge of water from drains. So, if an outside sewer or drain is identified as the source of a, say, toilet overflow, the damages will not be covered. An additional coverage that will provide protection in case of sewer and drain backups and overflows is inexpensive compared to the whole amount of your Homeowner Insurance. You can purchase an additional sewer backup rider to your policy for $40 – $50. In case of water or flood damage, it is imperative that you hire a trustworthy restoration contractor with experience in dealing with insurance claims. KIC Restoration has extensive experience and an impressive track record in successfully curbing water damage and performing cleanup and restoration work. Moreover, our technicians use cutting-edge technology to assess the damage, which in turn enables our price estimators to accurately assess the overall cost. We work will all major San Diego insurance carriers and we obtained a preferred status with Amerind Risk, State Farm, Farmers, and Capital Insurance Group. We can work unobtrusively with an additional 75 insurance companies, most notably USAA. We have helped the foundation and work of our special interest group that stimulates the collaboration between restoration contractors and insurance carriers. Our operators are available 24/7 for any questions you may have. KIC Restoration is here to make sure your home is restored to its pre-loss state at a minimum cost.